Scott Spinks, one of our investigators, scoping out the perimeter of the hotel. 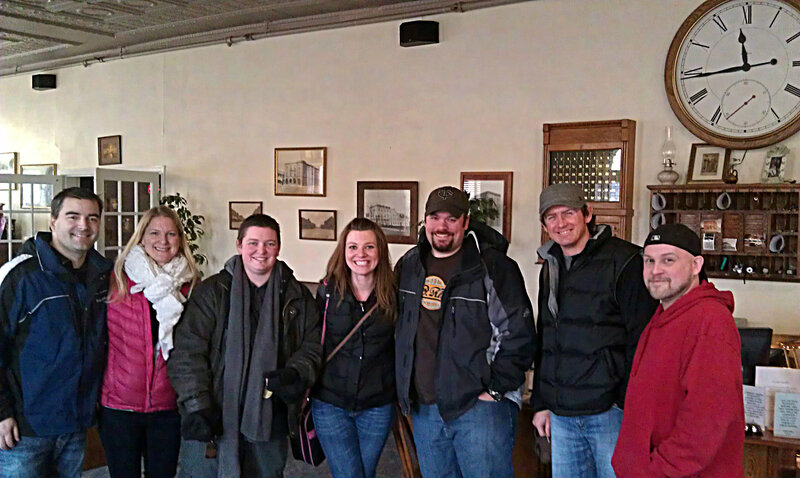 Last weekend, I took a group of friends on my first ever group ghost hunt to the Palmer House Hotel in Sauk Center, MN. I was a bit nervous. Not because I’m afraid of ghosts (cause I’m totally not), but because I didn’t want anyone to leave disappointed. Between our personal experiences and the audio and visual evidence we collected, I can honestly say no one went home without a few good stories to share. Speaking of good stories, imagine how many awesome ghost tales a girl could have if she owned a haunted hotel! Well, Kelley Freese is a lady with lots of tales to tell. She and her husband purchased the Palmer House Hotel about a decade ago, when it was sitting empty and in need of a little TLC. 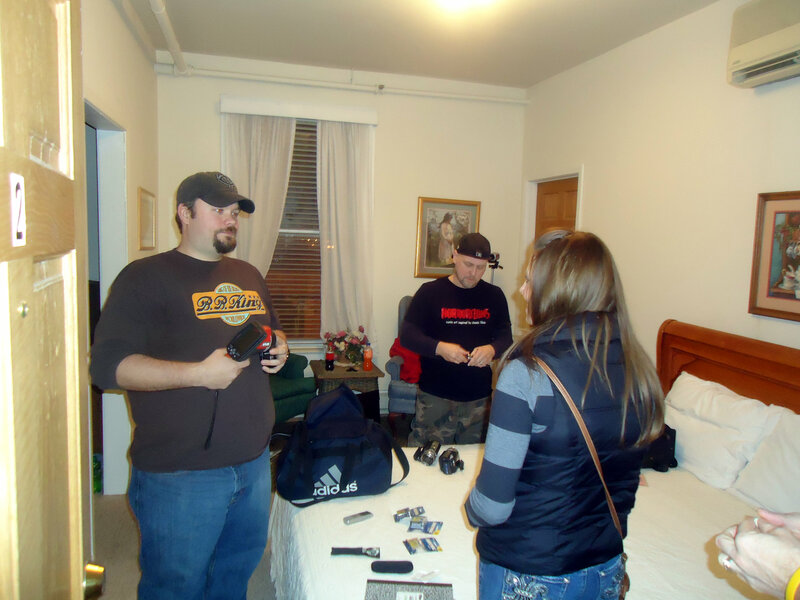 Kelley was gracious enough to allow us into her hotel for an overnight investigation, but before we set out on our hunt for the paranormal, I sat down with Kelley and asked her a few questions about her resident ghosts. Here I was asking Kelley to put us in the most haunted rooms to sleep that night. She just laughed and informed me that every room was haunted, but she did hook us up with the rooms that had the most ghost stories associated with them. What can you tell us about the fire that destroyed the hotel which was on the site prior to the Palmer House? What are the known deaths associated with the hotel? There was a documented suicide by hanging in the bar. A young boy fell down the lobby stairs, and a doctor was called, but there was no documented follow-up as to whether the boy survived. An older gentleman dozed off in a chair while waiting in the lobby for his wife to finish having tea with her friends, and passed away in his sleep. Kelley suspects that the chair may be the one she now has sitting on the second floor landing near the fireplace. People have reported feeling very uncomfortable and overwhelmed when sitting in that seat, which is an original piece of furniture from when the hotel was first built. 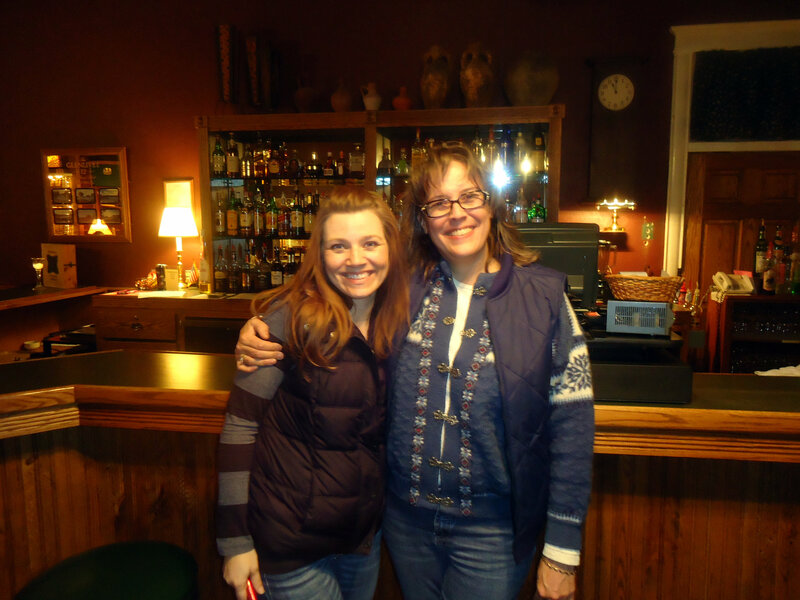 Posing in front of the bar – no wonder ghosts like us so much – look how stinkin’ cute we are!! When did you first realize the hotel was haunted? 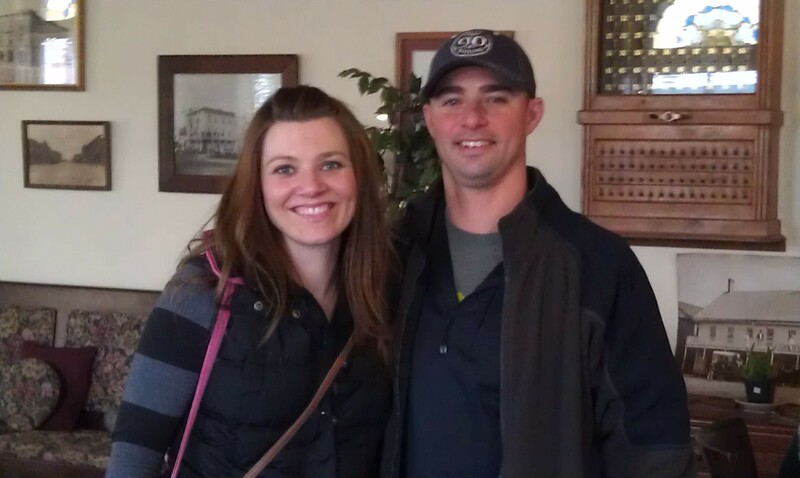 After Kelley and her husband purchased the hotel, they had to spend a few months getting the hotel ready to open. One of the local residents of Sauk Center stopped in and asked how things were going. Kelley responded that everything was going okay, but there seemed to be a lot of weird things that happened in the building. At this point, the man replied matter-of-factly, “Well, that’s because it’s haunted.” One of the first things she noticed was that items such as keys or tools would be moved from where she had left them. Her father, who moved in as the hotel handyman, would hear people in the hallways at night when he was the only one there and the building had been secured for the evening. What is your theory as to why the Palmer House is so active? The Palmer House still stands and operates as it did the day it was built in 1901. So many people have spent time there. It was such an opulent and over the top hotel for its time that it became a destination in and of itself. It was also home to people in an era when there weren’t apartments. You either lived in your own home or in a boarding house like the Palmer House. Kelley believes that there are spirits who stop in to visit, and there are others who, for whatever reason have chosen to stay. We weren’t playing around. 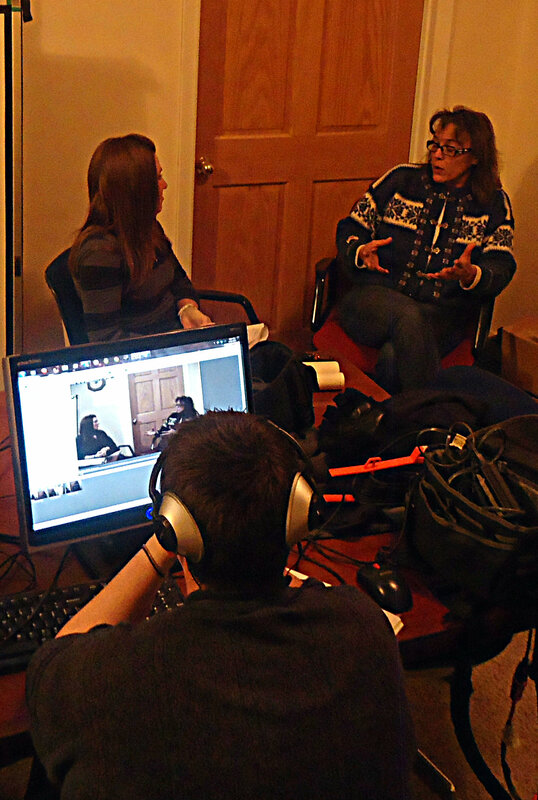 Kelley met with me in our command post for a quick interview before we set out on our investigation. You don’t feel any type of negative energy associated with the spirits? Tell us about the bones you found in the basement. Kelley was contacted by a stranger who had a dream that there were bones buried in the basement of the hotel. The women told her that she had never even heard of the Palmer House before – she didn’t even know that Sauk Center existed, but that her dream was so vivid that she was compelled to drive several hours to the hotel and tell Kelley. 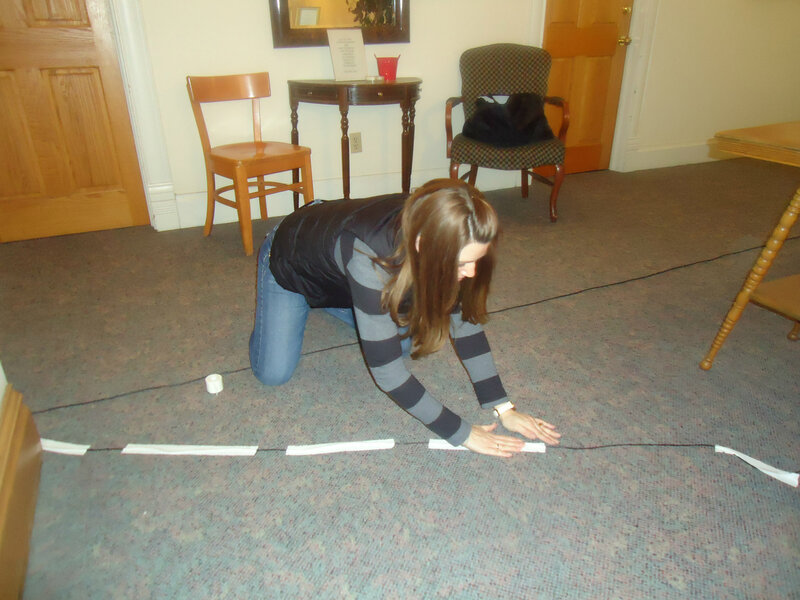 This women told her exactly where to dig to find the bones, and one night, Kelley decided to do just that. Armed with a large spoon from the kitchen, Kelley dug where the woman told her the bones would be. And sure enough, she found what appeared to be rib bones. She boxed them up, but when she returned the next day, they were gone. Kelley wonders if her spirits were trying to save her the burden of being shut down for the investigation that would have followed had she presented the authorities with her findings, as she was planning to the next day. She doesn’t believe that the person buried in the basement died from foul play. Through researching the details of the woman’s dream, she has concluded that it’s likely that the bones belonged to someone staying at the hotel who died during the flu epidemic that came through the state in the early 1920s. And that the man just wanted to be acknowledged. Part of our crew as we arrived at the Palmer House. Is there anything else you can tell us before we get started. Conduct yourself with “please” and “thank you.” And if you run into a spirit being a bit grumpy, treat them as you would a living person who happens to be in a crabby mood, and give them a little space. From a cat ghost in room 4, to a young boy who sits at the base of the lobby staircase, to Annie and Lucy and a grumpier spirit named Raymond – the Palmer House seems to be bursting with spiritual activity. 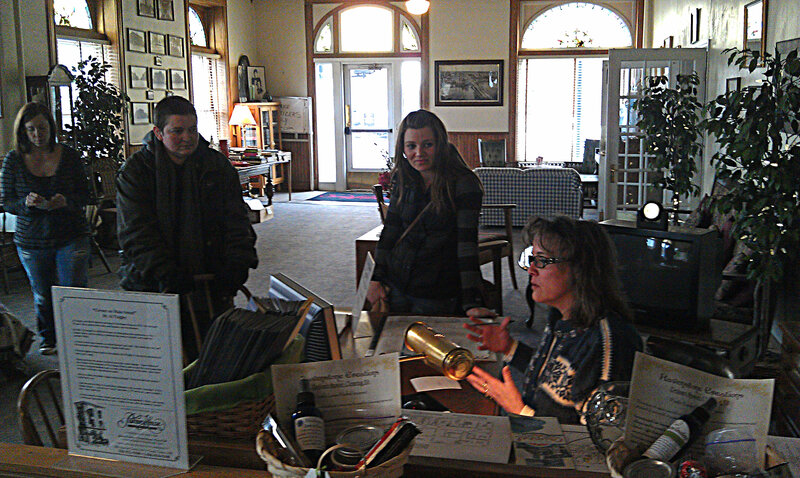 And my group of novice ghost hunters, with the help of our veteran investigator, were ready to see what we could find. So we set up our cameras, taped our cables down in the hallways (hoping not to trip anyone walking down the stairs in the night with our equipment), and took a break for dinner so Kelley could host a tour of curious guests into the basement for a mini-investigation (something she offers every weekend, and if you happen to be in the area, it’s worth the $25 to check it out). When we returned, the hotel was pretty much ours to investigate as we wanted to. Now, I don’t want to tell you everything we encountered during our visit quite yet. We’re working on putting together clips of the most interesting audio and video of the evening, which I’ll share with you very soon, along with a total recap of our night, but I will tell you this. We went into the evening with a few solid skeptics in our group. We lost two members of our team shortly into the evening because they saw things they couldn’t quite process and were a little too wigged out to continue on. We captured visual and audio evidence. Some of us were even touched. By the end of the night even our skeptics couldn’t explain away what they had seen. So is the Palmer House Hotel haunted? For sure! Next week, check back and I’ll tell you exactly why I’m so convinced. For now, I’ll leave you with a few pre-investigation photos to enjoy. Shawn, Sean and I checking equipment before the investigation. It’s good to have a husband who will support you in all the weird things you do. We didn’t want to add any confirmed deaths to the hotel’s history by having someone trip over our cords. 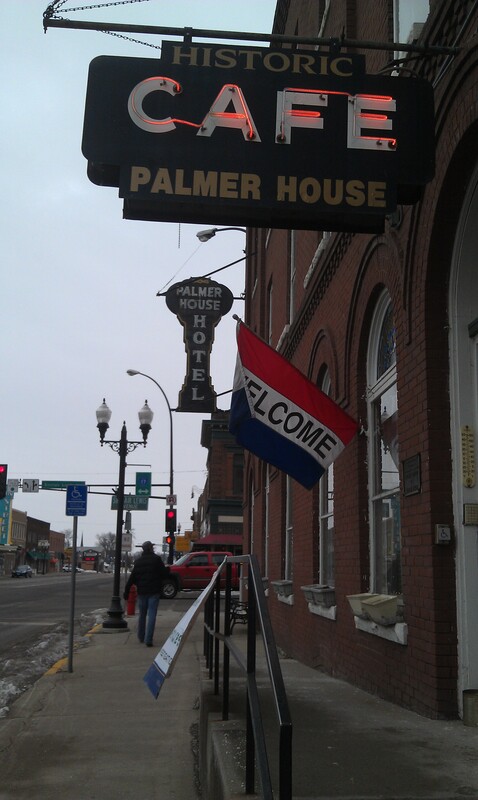 For more information about the Palmer House Hotel check out their website. http://thepalmerhousehotel.com/ And be sure to peek back next week for the low down on what happened on our overnight investigation of the hotel. I promise some scary and maybe a few funny stories!